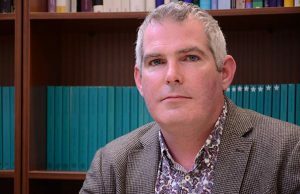 In January, the MSS welcomes Professor Michael Dougan whose criticism of the referendum campaign’s “industrial dishonesty” went viral. Misrepresenting reality without any supporting evidence – indeed usually directly in the face of the objective evidence. Peddling fantasies and making promises never to be delivered – often contradictory promises directed at different audiences. Attacking any opposition or dissent as biased and incompetent – or as part of some elitist / establishment conspiracy. Undermining the legal and political institutions upon which our democracy is based – all the while claiming to be their only true defenders. How did the Leave campaign get away with all this? And why are we still letting them get away with it? Michael Dougan is Professor of European Law at the University of Liverpool. He specialises in EU Law, particularly EU constitutional and institutional law, legal relations between the EU and its Member States, the law of the Single Market and free movement of persons / EU welfare law. Michael also contributes to wider public and political debates about European law: for example, providing advice to UK government departments, parliamentary committees and EU institutions. Michael is Joint Editor of Common Market Law Review – the world’s leading scientific journal for European legal research. He was awarded a Jean Monnet Chair in 2006. This entry was posted on January 16, 2017, 11:28 and is filed under Skeptics in the Pub. You can follow any responses to this entry through RSS 2.0. You can skip to the end and leave a response. Pinging is currently not allowed.